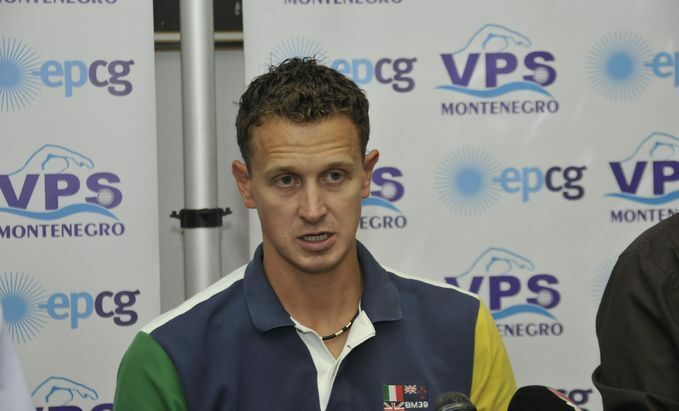 w2opolo: Vasko Vuckovic "Gojkovic is the secret of the new Montenegro"
Vasko Vuckovic "Gojkovic is the secret of the new Montenegro"
The recent matches between Settebello and Montenegro see the “Ajkula”, the Sharks trained by Vladimir Gojkovic, as the great risk for the “Azzurri” during the groups phase at the Olimpyc Games in Rio de Janeiro. During the European in Belgrade, the dynamism, the technical skills and the physical strength of Montenegro did impressed Italy that was eliminated in quarter finals. At the Kombank Arena semifinal, Montenegro brought Hungary into line, then they end up playing a great final game against Serbia which was eventually lost. The match was held before the greatest audience that waterpolo history have ever seen and it was tensed by many referees debates. During the last three years nobody was able to hinder Savic’s team that much as Montenegro did. Will the “Ajkula” manage to do the same at the Olympics? 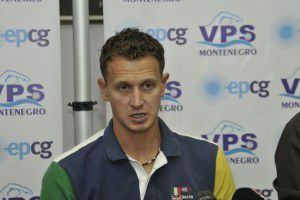 We interviewed Vasko Vuckovic, a proper waterpolo master, now engaged in the Club Aquatico Pescara and, at the same time, in the staff of Gojkovic, where he performs as video analyst. 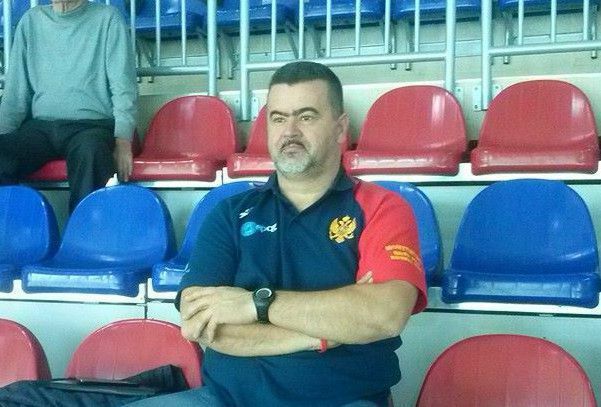 Mr. Vuckovic, Montenegro went from the fifth place at the World Championships, which was not very exciting as far as the quality of the game is concerned, to Belgrade’s final. We can assert that changing coach – Gojkovic replacing Ranko Perovic – worked out well. Gojkovic brought seriousness and calm to the national team. He managed to motivate the best players and to push them to do their utmost. During a player’s career there is a always a time when he think he can make it on their own, that his coach is useless. Maybe in a tough way, but Vladimir made clear that this is not the way it is. That was not an easy challenge for such a young coach – he’s 35 – who was a teammate for many of his players. Gojkovic answered to no one and the players accepted his method. They realized they could be led by someone like him. The other cause of the exploit in Serbia was the return of Nikola Janovic, star player and proper team captain, who was missing in Kazan. His retirement after the European Championships risks to leave Montenegro without a real leader in Rio? Nikola was crucial both inside and outside the water. Now we are rearranging the game without him, but the other players acknowledged the fact that they need to take over the responsibilities that once were Nikola’s. We are confident but once in Rio we will know if they will be able to do so. For such a small country as Montenegro to get the medal would be a great result. 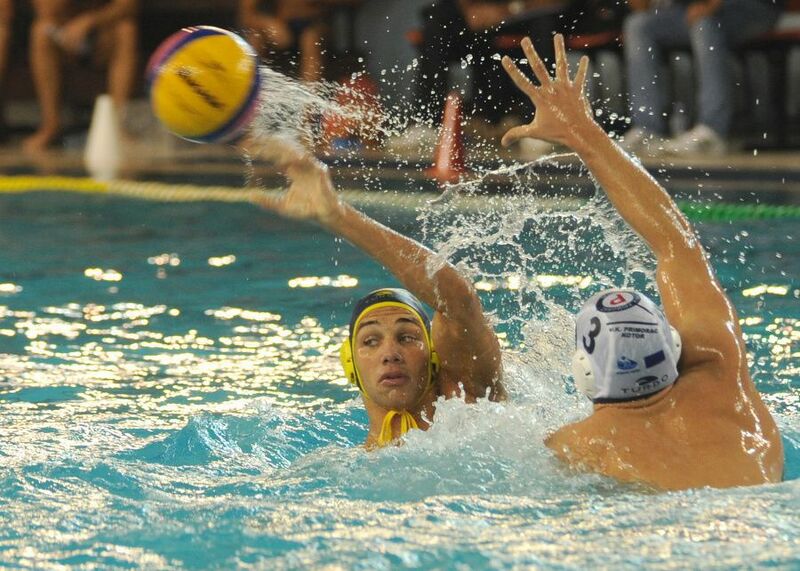 In Belgrade Montenegro played a dynamic waterpolo, very often without a centerforward in the water, stealing to the opponents the reference points. Will we see the same again in Brazil? Since the beginning Gojkovic has set up the game this way, counting on players as Nikola and Mladjan Janovic or Jokic, capable to play also at two meters. If we had another quality member like Zlokovic, then we could bet more on the center. But Boris is not longer playing, therefore we can only work on speed. The Olympic Games in Rio seems to be the most well balanced in the waterpolo history. Do you agree? Potentially eight teams can get the gold. The squads that made few changes have improved every year. We’ll see some surprises during the Games: Greece, Italy and Hungary are teams that cannot be excluded from the winners zone a priori. Then there is Brazil, Ratko Rudic’s team, which is playing at home and that it’s a dangerous team as they offer a constant change of the positions. Don’ t you see Serbia as favorite? Surely Serbia is ahead the other teams but the distance has been reduced. Some player got to the top, they cannot further improve and others are coming from a season where they played only 12-13 matches. They are strong but not unbeatable. Montenegro average age is quite high. Do you foresee any problem in renovating the team after Rio? I do not think so. I was in Baku for the European Games and over there our U17 did not express its whole potential (they were eliminated at last 16 by the Russia, edit). In september, at home in Podgorica, it will be hold the U18 World Championship: the players are one year older and I am sure they will do well. The national team will face a transition time, but we are not scared of the future, we have talented players that can assert themselves. Last question: Belgrade was crowded by the montenegrinians during the Europe final. Will it be the same in Rio, thousand miles away from your country? We already have troubles with tickets demand, there are many montenegrinians in South America, especially in Argentina, and they want to follow us at the Olympic Games.